One hopeful day on January 2, 1957, William Carrington March and his wife, Julia Roberta March, embarked upon a new business venture that would profoundly change their lives. Motivated by faith, determination, and the desire to provide financial security and educational opportunities for their young family, William and Roberta opened a small funeral parlor on the main floor of their three-story row home. Thus began the family and business odyssey of March Funeral Homes. Julia Roberta March shares in the dream by becoming a licensed Funeral Director in support of her husband’s vision and love for the community. On faith, the Marches take a $15,000 loan from the Small Business Administration to acquire the adjoining row house. They then began construction, breaking down walls on the first level, to build a chapel. After a total of 30 years of working for the Federal Government, William retires from the U.S. Postal Service. Rev. Martin Luther King, Sr. dedicates the memorial to his son, Dr. Martin Luther King, Jr., at King Memorial Park. After graduating from Johns Hopkins University, Erich is the first child to go to mortuary school and become a licensed mortician. Cynthia, a graduate of the University of Maryland at College Park and a registered nurse, is the second child to attend mortuary school and become licensed. A loan is obtained from the Small Business Administration, Advance Federal Savings & Loan and Ideal Savings and Loan, to build the new East Funeral Home. The new Wm. 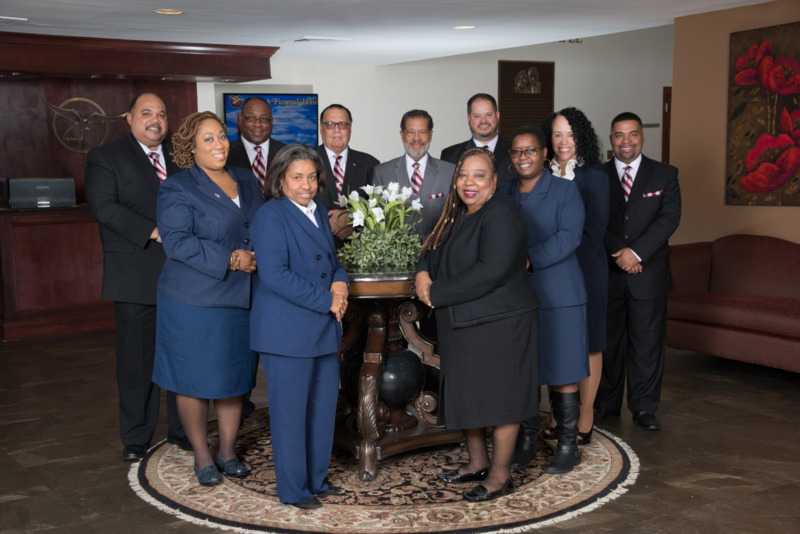 C. March Funeral Home opens at 1101 East North Avenue with the largest staff and fleet of funeral service cars in Maryland. The row house that once served as the original funeral home becomes the administrative offices. Victor, a graduate of Loyola University and a Certified Public Accountant, resigns his position with top ranked Coopers and Lybrand, to join the family business as Controller when the growth of the business requires full time financial oversight. Before computers became mainstream, Victor and Erich design Business Office Service Systems (B.O.S.S. ), the first software program for the funeral industry. The system was used by over 1,200 funeral homes to computerize their reporting and management. The Thelma March Scholarship Foundation is established. William and Erich are among the founders of The Harbor Bank of Maryland; the state’s first minority owned commercial bank. William is elected the bank’s first Chairman of the Board and Erich continues to serve as a Board Director. Two students from Paul L. Dunbar High School are each awarded $6000 in Thelma March Scholarships. Annette, a graduate of The University of Delaware, resigns her position as a registered nurse with Johns Hopkins Hospital and joins the family business full-time. After completing mortuary school, and obtaining her mortician’s license, she becomes Director of Public Relations and Marketing. Lola, Victor’s wife, embraces her husband’s vision and joins the family business, attends mortuary school, and obtains her mortician’s license in 1988. Arthur “Dino” Grier, Annette’s husband, is hired to manage and operate March’s newly established, Paramount Limousines, a commercial transport service that served weddings, entertainers, etc. March Funeral Homes-West opens. The new location increases the March's capacity to serve and was welcomed by residents of West Baltimore that were previously choosing to cross the invisible boundaries between the two sides of town. Together East and West served 2,400 families in their first year. 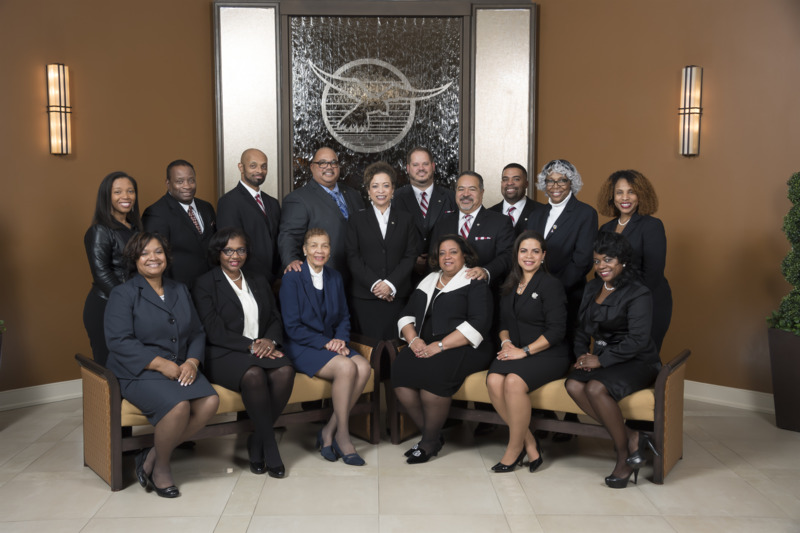 William and Roberta retire, turning over full operation and ownership of the businesses to their four children, naming Victor, Sr. Senior Executive Vice President and CEO, Erich Vice President, COO and President of King Memorial Park Cemetery, Annette Vice President and Corporate Secretary and Cynthia Vice President. 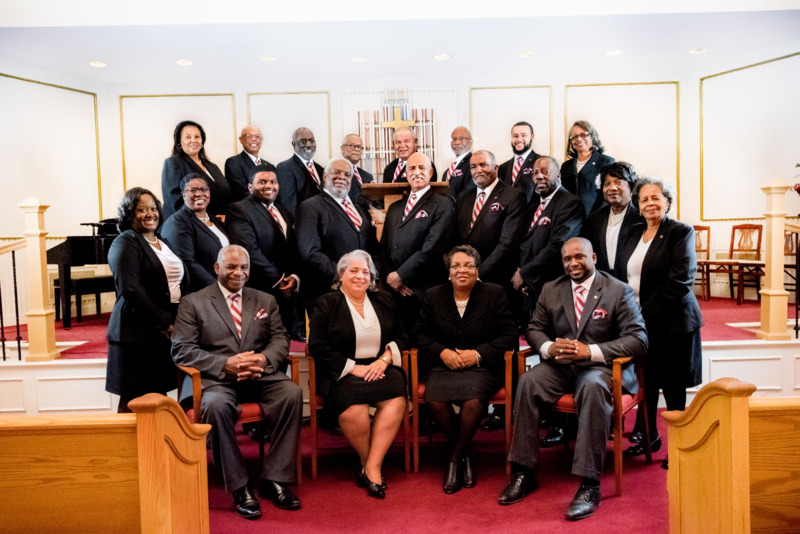 King Memorial Park begins its annual Memorial Day Gospel Concert, and quickly becomes a well‑established tradition in the Baltimore Metropolitan Area. A choir called The March Singers is formed and releases an album “Needlessly”, as part of the Stop the Killing campaign. The Marcorp, Ltd. administrative office moves from 928 North Avenue to York Road. 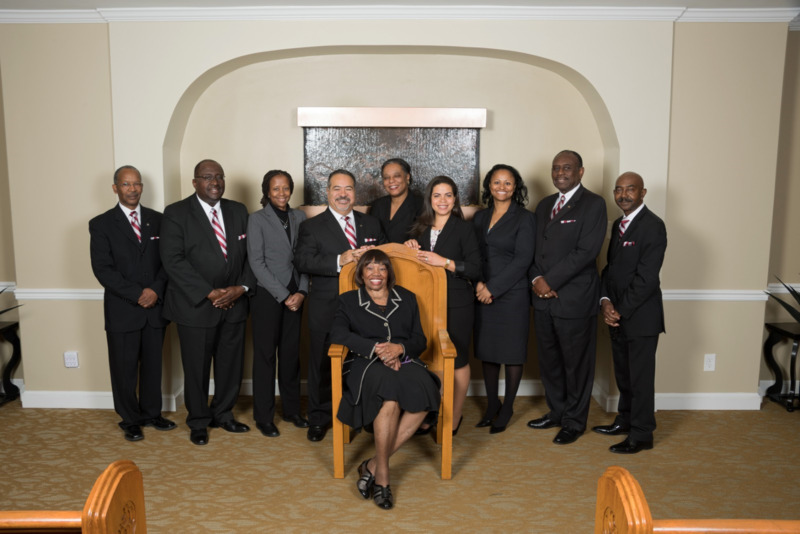 Victor serves on the Board of Directors for the Associated Black Charities and becomes Chairman from 1990-2004. He remains the longest serving Chairman to have served the organization. The March Funeral Homes’ vehicles are changed from black to its signature champagne and burgundy color. William plays a vital role in the restoration of Orchard Street Church. Now a historic landmark, the church was originally built by torchlight at night by slaves and Black freedmen. Tunnels under the church were long associated with the Underground Railroad, and the Orchard Street Church was reportedly a stop on Harriet Tubman’s passage to freedom. Walter Nathan Malloy, Jr., son of Cynthia, and graduate of Williams College, joins the family business. He goes on to attend Georgetown Law School, and graduates in 2000. 30 acres are cleared and excavated to develop new burial gardens and roads in King Memorial Park. 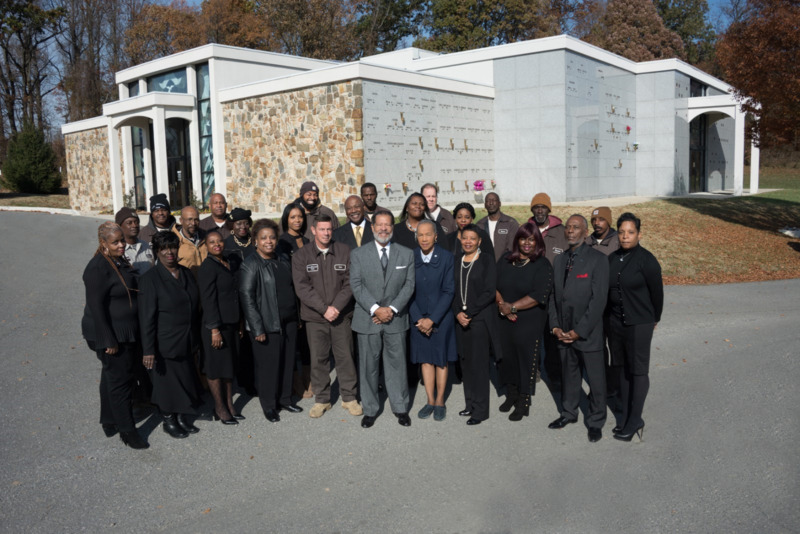 King Park constructs the first mausoleum built by an African-American owned cemetery. business as the Director of Information Technology. Rudolph Williams, the first employee of the March Funeral Homes, passes away after 33 years of loyal service. Carmalita, graduate of the University of Maryland at College Park and daughter of Victor, Sr. and Lola, joins the family business as the Director of Creative Services. From 2004-2007 she takes a brief sabbatical to serve in State Government as the Chief of Communications for the Maryland Transit Administration (MTA). King Memorial Park constructs a new administrative building with family conference rooms. The release of doves becomes part of King Memorial Park’s burial ceremony. August 2, William C. March passes away and is entombed at King Memorial Park. 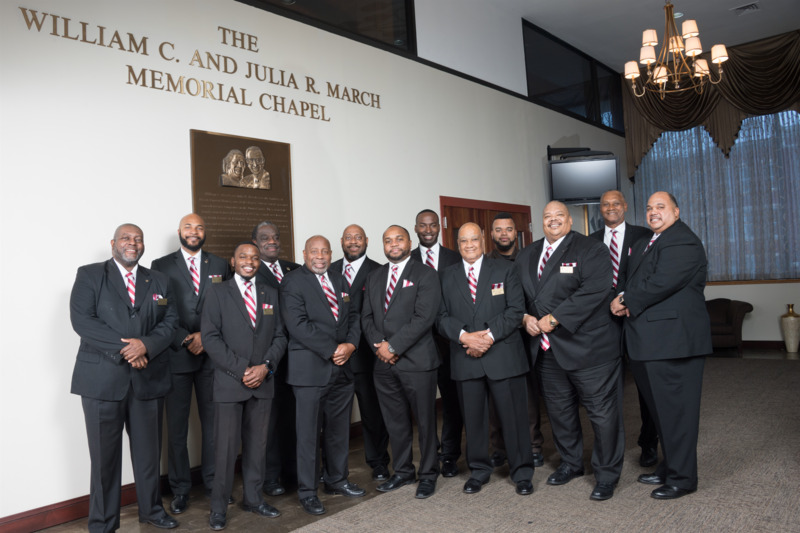 Upon his death, William endows $200,000 to benefit the Thelma March Scholarship Foundation. King Memorial Park purchases an additional 105 acres making it the largest African-American owned and operated cemetery in the nation. 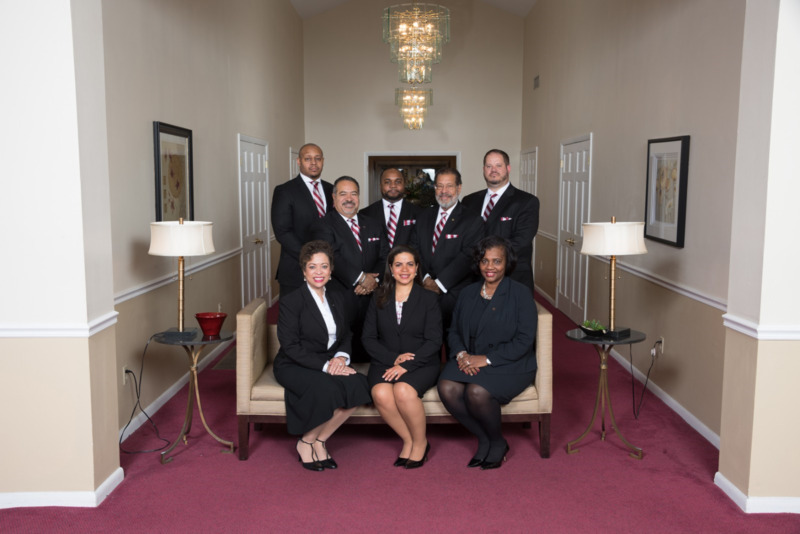 March Funeral Homes of Virginia is established. This is the family’s first venture outside of Baltimore. A new name in a new city, business grew based on a reputation of excellence and a commitment to serve. Cynthia, who served as a public health nurse until 2003, rejoins the family business as the Managing Director and Vice President. April 18, Julia Roberta March passes away and is entombed with her late husband, William, at King Memorial Park. A true homage to his push for education, the former Harford Heights Middle School is renamed the William C. March Middle School. Together, three members of the 3rd generation; Nathan, Vic Jr. and Carmalita, attend mortuary school while continuing to work for the family business. They go on to graduate at the top of their class and subsequently serve apprenticeships, pass the national board exam, and in 2009 each become licensed morticians. Roberta’s House, a Family Grief Support Center, is developed in memory of the family’s matriarch Julia Roberta March, opens to serve grieving children and families. This unique Baltimore based program offers free programs committed to restoring families and strengthening communities that have been devastated by traumatic losses and death. Annette is the visionary and serves as the President. 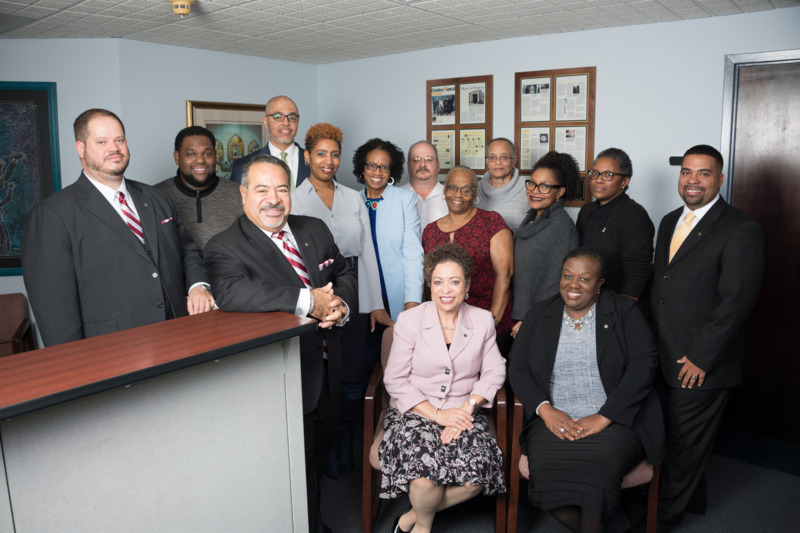 After 43 years of building her business with her late husband, Harold Marshall, Dr. Julia Marshall sells Marshall’s Funeral Homes in Suitland, MD and Washington, DC to the March Family. The acquisition becomes Marshall-March Funeral Homes. With a motto of “One High Standard of Service”, the pairing of the two companies was a natural fit. A Grand Chapel Mausoleum is constructed on the grounds of King Memorial Park enabling services to be held on the premises. A Complete remodeling of the Marshall-March Funeral Homes location in Suitland, MD is completed. March’s care. The March Life Tribute Center in Laurel also serves as a welcomed space for a mix of religions from Christian to Buddhist, Sikh, Hindu and others, and is as an ideal venue for cultures where witnessed cremations are vital to fulfilling rituals and traditions. First Annual Sunrise Service held at King Memorial Park reenacting the resurrection of Jesus from His tomb. Justin P. Grier, graduate of Morehouse College and son of Annette and Dino, works for the family business before joining the staff at The Woodbourne Center as the Mid-Atlantic Information Technology Coordinator. 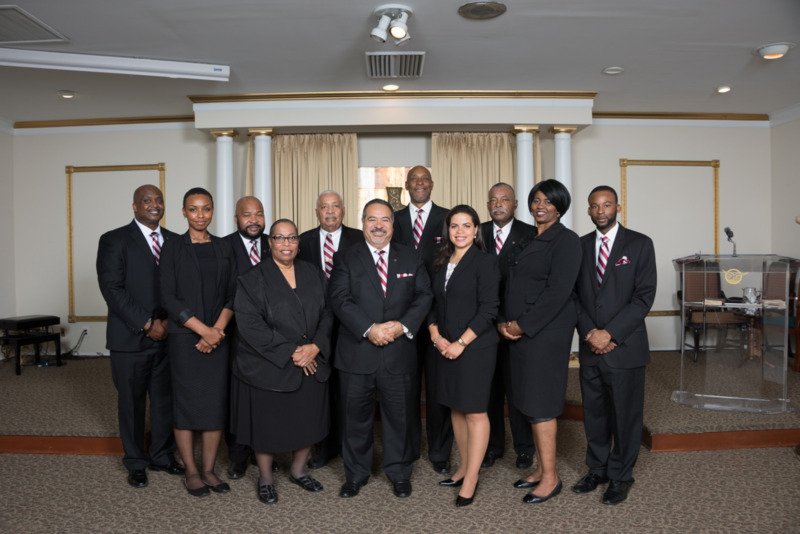 The March family purchases the former building of New Antioch Baptist Church and construction to completely renovate the facility into the March Life Tribute Center-Randallstown, P.A. begins. Annette wins the prestigious international award, one of the Top 10 CNN Heroes of the Year, for her work through Roberta’s House. The Marshall-March Funeral Home in Washington, DC is completely renovated. The family begins to convert the fleet of limousines and hearses from Lincoln to Cadillac and purchase a Mercedes Bus as a premier family coach option. March Funeral Homes East is newly renovated. 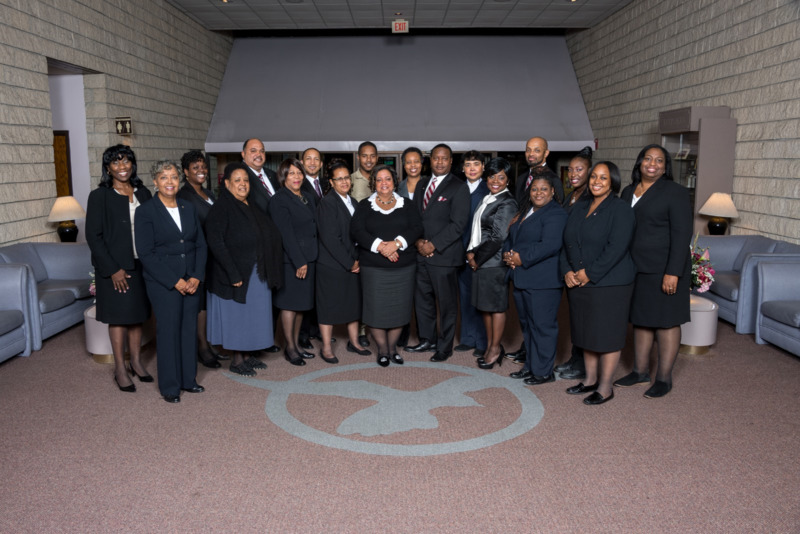 A second March Life Tribute Center opens in Randallstown. This Baltimore County location immediately conveys the true concept of a Life Tribute Center. The multi-use venue has proven to be sought after as more than just a funeral home, hosting several weddings, parties, community events and more. Lola serves as the Managing Director. bereavement center in an urban community. Focused on serving minority communities who experience a disproportionate numbers of homicide, prenatal/infant mortality, morbidity, and premature deaths, the new center will be located in the 900 blk of East North Avenue where the original March funeral parlor once served thousands of families. Ventured for 2019, the new center will contribute to the East Baltimore revitalization plan and provide needed space for comprehensive grief support services currently being provided to more than 1000 individuals with 13 programs, 20 staff and over 400 volunteers. Our compassionate staff members make everything that happens possible.